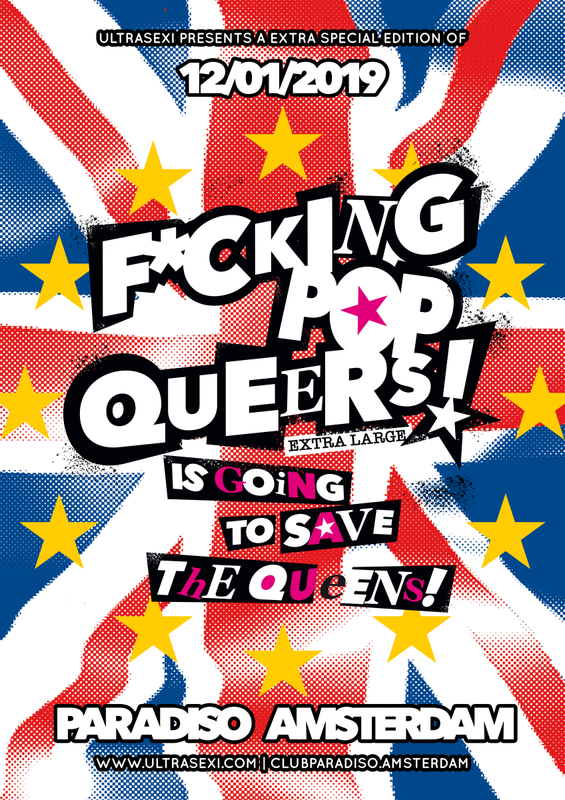 F*CKING POP QUEERS EXTRA LARGE IS GOING TO SAVE THE QUEENS! Saturday the 12th of January at Paradiso Amsterdam. Let’s start a dance riot to save all the queens! Join the Rebellious FPQ hit parade and dance on this very first edition of 2019. Pre-sale tickets are here online available.